Upon log out or exiting to the title screen, enchanted book trades from librarians seem to lose their costs and essentially free trades. 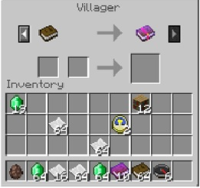 As seen in the pictures, they can be purchased by trading 1 book and no emeralds. 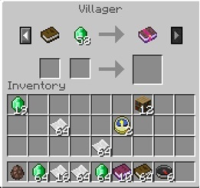 Furthermore these trades no longer count towards the librarian's enchanted book trade and will not be replaced by future enchanted book trades. Rather, more and more enchanted book trades will be added to the librarian's list of trades.